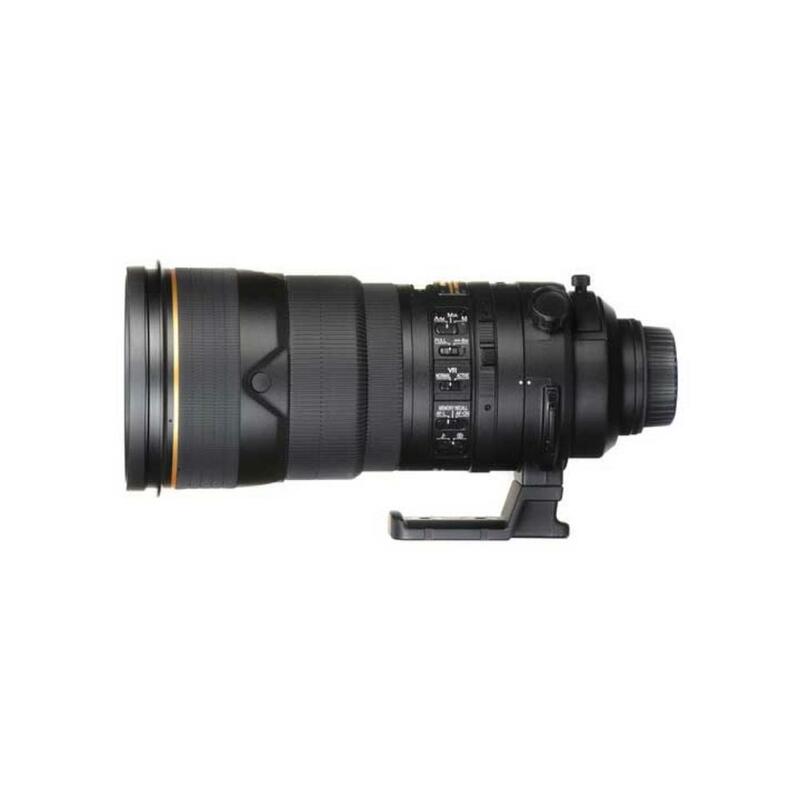 The Nikon 300mm f/2.8G AF-S IF-ED VR II Lens is a telephoto prime lens that delivers superior performance with a rugged design. The fast f/2.8 maximum aperture is ideal for low light and producing beautiful subject-to-background separation. Its Silent Wave Motor provides ultra quiet operation that's suitable for sports and wildlife. AF Memory Recall allows instant return to a predetermined point of focus while a Super Integrated Coating enhances light transmission efficiency and offers superior color consistency and reduced flare. This lens is ideal for wildlife and sports, including indoor arena sports where lighting conditions can be difficult.